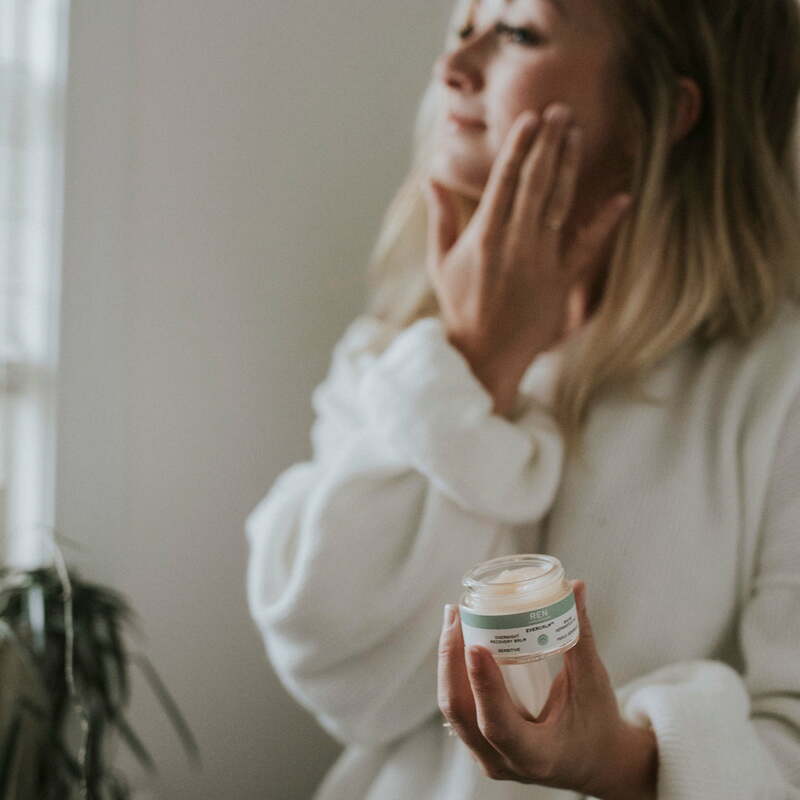 This rich night balm feeds your skin with lipids from Olive, Almond Borage and Linseed oils that have been activated to be easily absorbed into the skin to intensely nourish and moisturize whilst you sleep when the skin's own regenerative process takes place. A Jojoba and sunflower oil complex supports the skin's natural lipid balance to strengthen the skin protective barrier while Beta-glucan soothes and alleviates signs of irritation from dryness. Jojoba and Sunflower Oil Complex intensely moisturizes and helps protect the skin. Separate cap and jar. Cap and jar are both 100% recyclable. At night, apply to freshly cleansed skin. Use after your serum. Can also be used to soothe dry lips, and rough dry patches such as the elbows and knees.